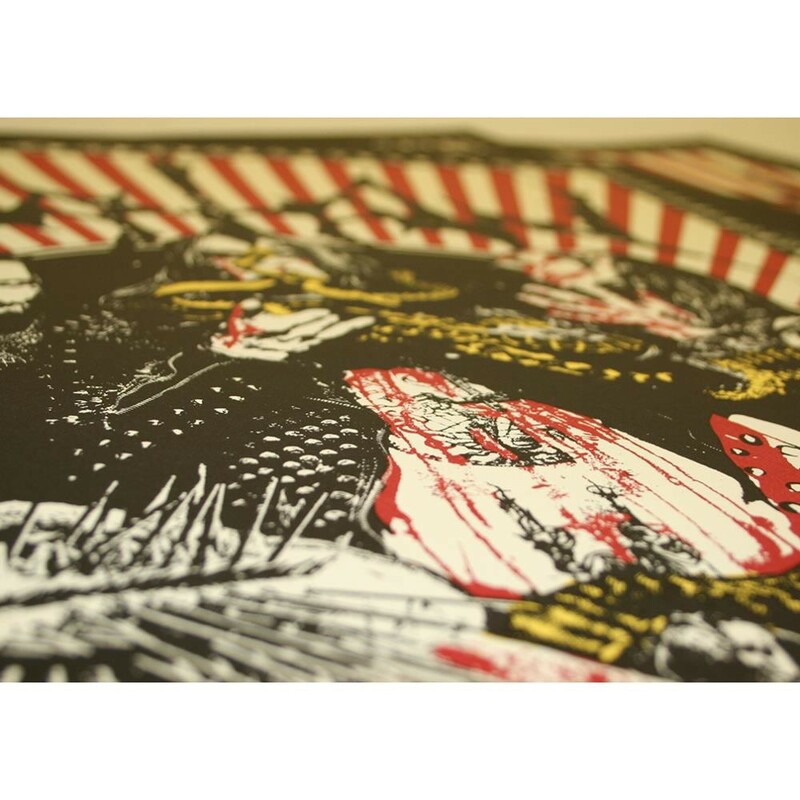 WATAIN POSTER SERIES by ERIK DANIELSSON / TRIDENT ARTS The Watain poster series consists of 10 individual Watain posters created by Erik Danielsson / Trident Arts for Watain concerts between 2010 and 2015. Previously only used for online purposes, this is the first time these posters are printed in large, physical format. Erik comments: "Every time Watain has been booked for a festival I have made a unique artwork piece for the event, both out of need (since festival posters always look horrible) and out of the will to underline the graphical essence of Watain. I have also taken the liberty to only feature bands from these festival line ups that Watain has something to do with in one way or another, bands that fit into our universe and whose logos blend in well with our visual idea. An artist creates his own world on his own terms, and these posters are exactly about that. While far too many bands end up using whatever graphic that comes their way, we have always been cautious to not let anyone else speak on our behalf in that regard, since I believe that graphical art is as important an element in a band as a song or a lyric. These posters -behind which lay many days and nights of work- are a result of this approach, and it feels good to have them available now in this noble large scale format for those who appreciate such things as much as I do." 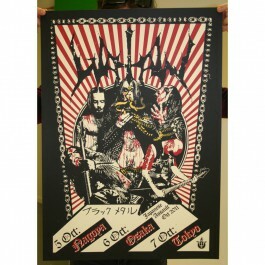 Erik comments on poster 5/10: "This poster was created for Watain's first Japanese tour, in support of the Lawless Darkness album. A quite hysterical and detailed design, resonating well with my experience of the country in question (the main cities in particular). 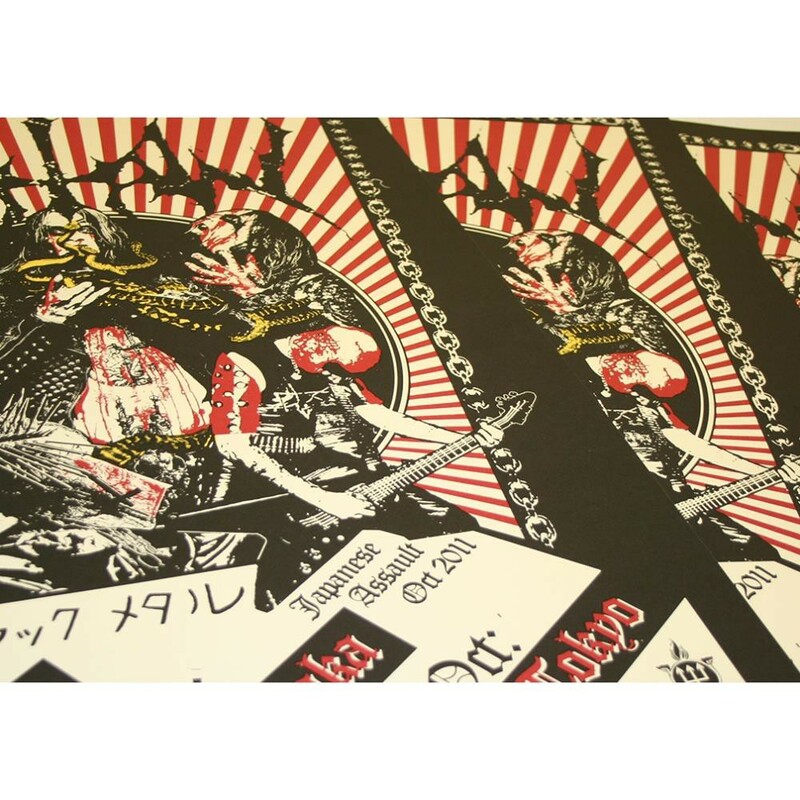 The bigger photo in the collage was taken by my friend Ester Segarra, and the others are from previous tours we had done for the album.The Japanese lettering says "Buraku Metaru" ("Black Metal"), and is scissored from the backside of the 2nd Venom LP, a band whose early visual imagery doubtlessly served as a reference point for this one."